All obligations MUST be cleared by Monday, May 20th @ 3:00 pm or the senior may not walk at Graduation. All teachers have access to obligation list, so a senior may ask any teacher if they have questions about an obligation. Senior Breakfast / Senior Walk / Senior Picnic is Friday, May 10th. There is a $5 fee to cover transportation, food, goodies and activities. The fee can be paid on MPP. The DEADLINE to pay is Sunday, May 5th . Parents are invited to attend the SENIOR WALK at MVHS. Parents may enter the building at 9:20 - please enter through the front doors. SENIOR LETTERS DUE DATE CHANGED TO APRIL 12th! SENIOR CLASS MEETING - MARCH 27th - - click HANDOUT for information discussed. ​Tickets will be given at GRADUATION PRACTICE on May 22nd. We are putting together Treat Bags to give as senior treats 2nd semester. If you can possibly help out it would be greatly appreciated. Information on what we are looking for is below. We are also asking for help in gathering donations for our seniors. * Restaurant coupons for example, Wendy's has Free small Frosty cards, Chick-Fil-A has different cards for each month we would need February or after. * Gift cards are great $5 or so - or anything you think a senior might like. * Theme Gift Baskets - movies (with DVD and popcorn), A day at the lake (beach towel), Sweet tooth basket (cookies and candy) anything really would be greatly appreciated by the seniors. 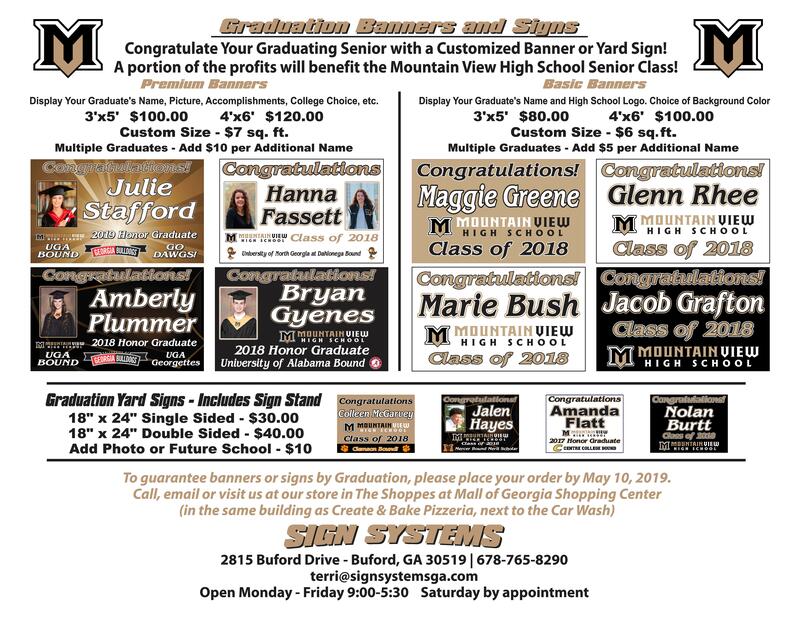 You can send them in an envelope with your senior to drop off in Ms. Teague's room, 1.578, Mrs. Holcombe's room, 1.566 or you can drop items off in the front office to the attention of a senior sponsor. We currently have just at 600 seniors.